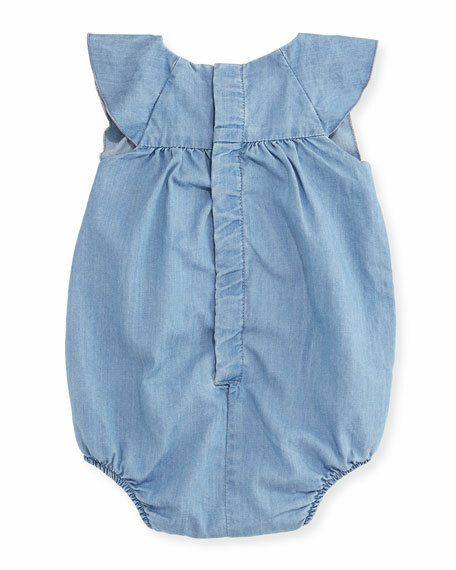 Chloe bubble bodysuit in cotton chambray. Approx. measurements: 17"L from center back ot hem. 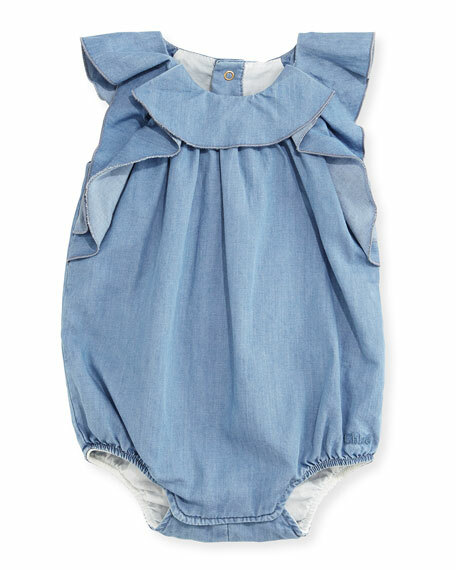 Round, ruffle neckline; snap back. Sleeveless; ruffle trim at shoulders.